Trail Blazer Waterproof Field Notebook with Pencil | BUDK.com - Knives & Swords At The Lowest Prices! Don't let mother nature wash away important notes or other records! 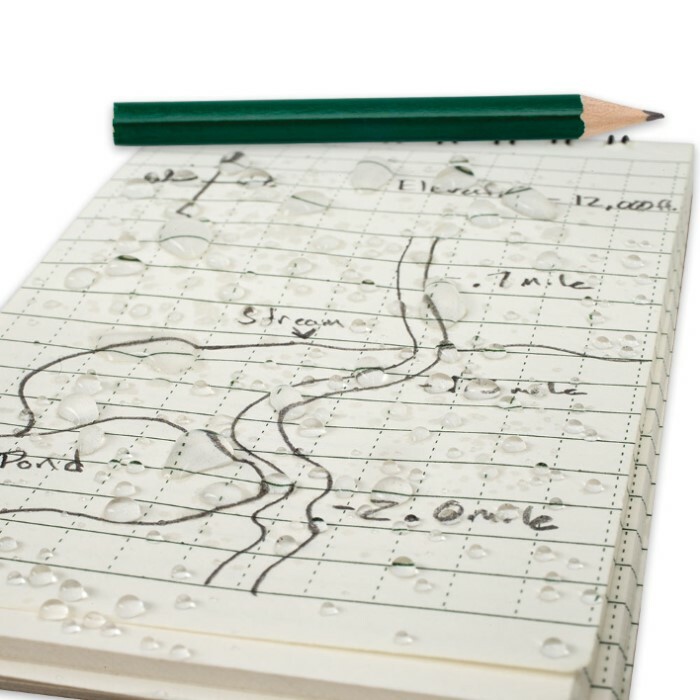 With this tough Waterproof Field Notebook from Trail Blazer, you can jot down notes, keep records or sketch out rough drawings any time, in any conditions - even torrential downpours! It's perfect for outdoorsmen, boaters, anglers, hikers, campers, field biologists, geologists, farmers and anyone else who spends time outdoors. Spiral bound, with a tough, flexible cover, this rugged notebook also resists tearing and other damage due to rough handling, being dropped in dirt or mud or other harsh. Its 50 pages and 5" x 3" dimensions afford plenty of writing space while not consuming excessive space or adding weight to your pockets, backpack or other storage gear. 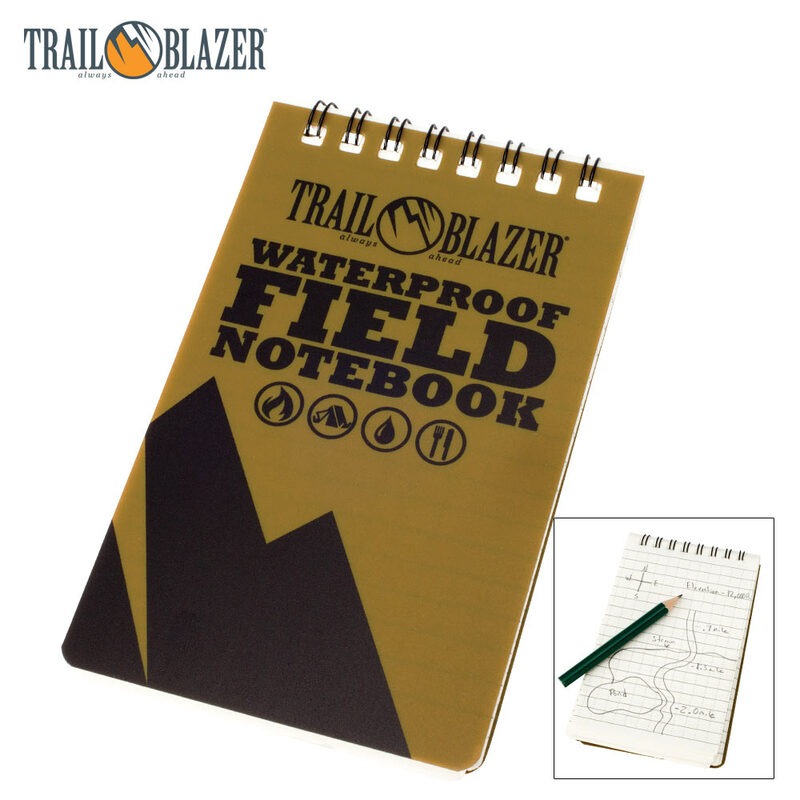 Trail Blazer's Waterproof Field Notebook is a vital component of any outdoor, survival and/or emergency gear, and it's also great to keep around the house for writing notes while gardening, repairing water lines, installing plumbing or performing other wet/damp tasks. Includes pencil. This product is not completely waterproof because I can submerge it in water and it does indeed get wet to the point of saturation. However, the pencil marks do not rub off so easily and as a unit all together, it does keep the middle pages somewhat dry. And if you just let it dry out, the paper doesn't wrinkle when it completes the drying process! Thoroughly impressed! Its waterproof paper! Beats leaving a note in a plastic bag etc.